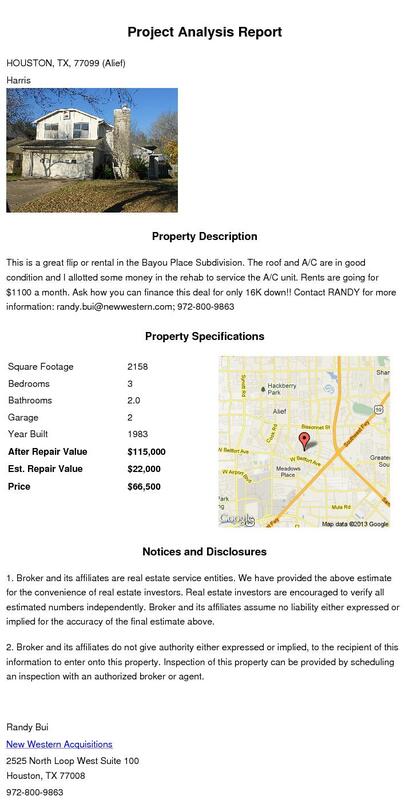 American Wholesale Property: NON MLS Treasure. Every investor's dream! NON MLS Treasure. Every investor's dream! This is a great flip opportunity in the West Memorial Area. The roof, foundation, and A/C are in good condition. This house has only had one owner and they took care of the house. $70k should be more than enough to make this the best house in the subdivision. 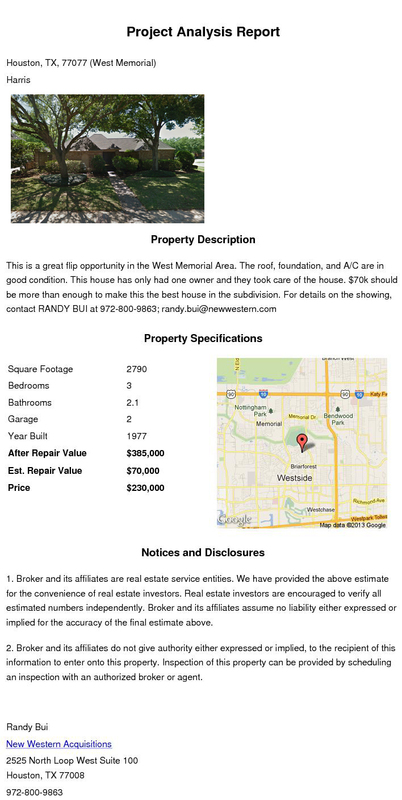 Contact RANDY for more details; 972-800-9863; randy.bui@newwestern.com.